Well as the departure date for trip number one rapidly approaches, this week has been all about finishing off the small stuff in preparation. The maps are printed, as are the reservations and directions. I'm normally stuffing everything in my case as I go out the door and find I forget things, but I can honestly say I think this is the most organised I've ever been for a trip. To start with, I've stuffed the pockets with some of the smaller cards I've downloaded or created. I was tempted to add a princess paperclip or two, but in honesty I'm a little worried about losing them. 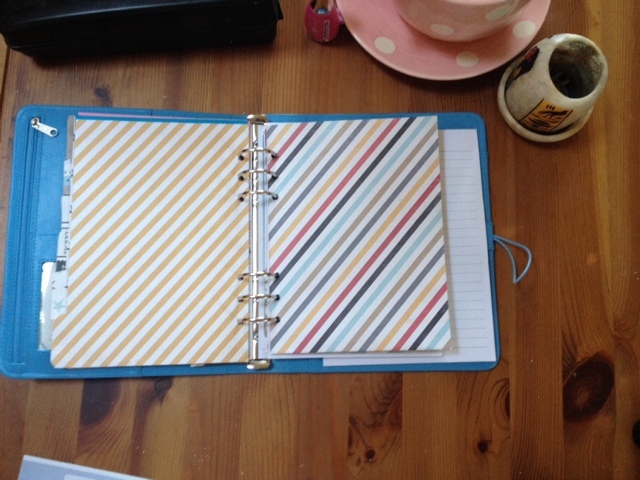 I also made a little folder to keep journaling cards inside my folder. 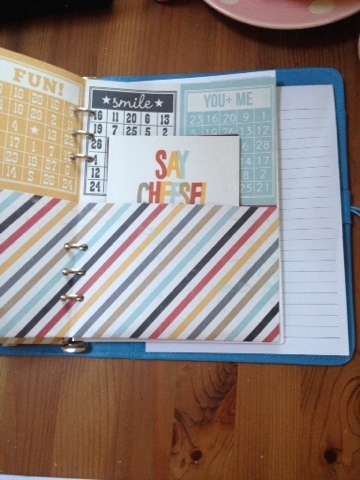 I opted for some of the paper from my Simple Stories Say Cheese paper pack. This was super easy as all I had to do was fold the paper and glue. As such the design is simple but effective and gives me two pouches for storing cards or prehaps memorabilia from around the parks: tickets, postcards and the like. The pockets are just the right size for postcard size journaling cards, which look really sweet tucked up inside there. 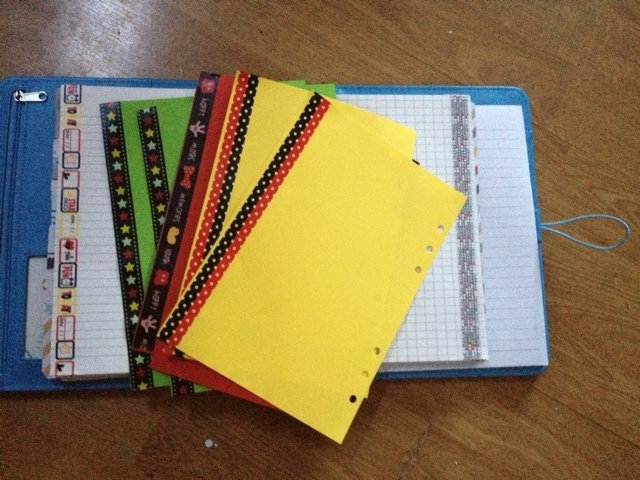 As you can never have enough paper, I've been decorating some of mine with Disney themed washi tape. 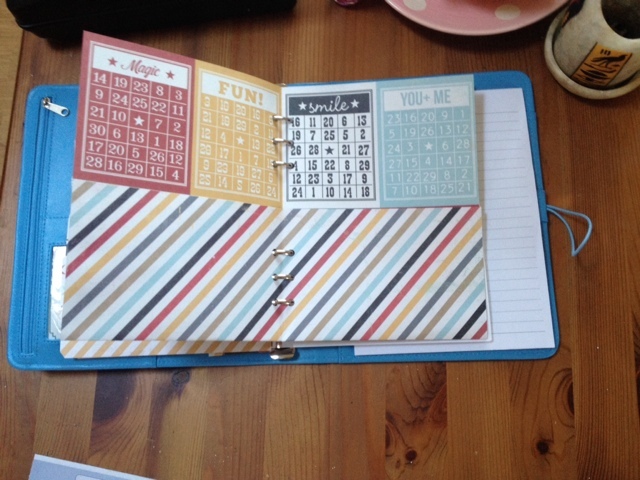 I used coloured A5 paper plus standard issue Filofax paper and was happy with the effects on both. 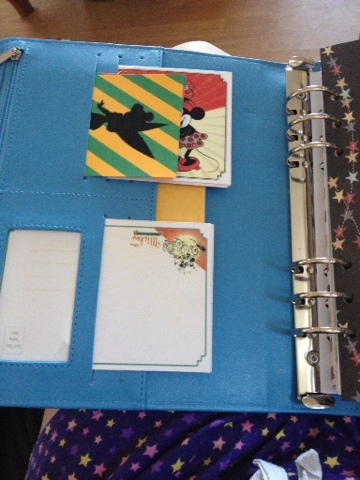 This was a more cost effective way of ensuring I had Disney paper in my planner. I'd looked around and although pads were available, they were not cheap especially when you were looking in the region of 20 sheets per pack.